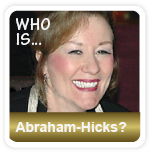 If you want to develop your psychic ability, here’s your chance to learn from the best! The well known clairvoyant and spiritual medium, James Van Praagh, shares his greatest tips to enhance your intuition and sixth sense! James Van Praagh was interview by Judge Holland for the Hay House World Summit 2013, and below is a summary from that inspiring interview. Also, you will find featured video at the end on James Van Praagh, where he explains intuition and talks about how he discovered his own psychic ability. What is intuition? Does everyone have a SIXTH SENSE? The word intuition means ”into the soul”. Intuition is the language of the soul. Everybody is born with six senses, and not only five senses that we are taught to believe. 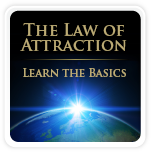 This means that we all – to some degree – have psychic abilities, according to James Van Praagh. When you get that special feeling in your “gut”, or have this “knowingness” that you can’t really explain, it is the “soul language” – your intuition or sixth sense – that is speaking to you, according to James Van Praagh. Now, let’s find out how we can develop this intuition / sixth sense / psychic ability, that we all are born with. In the interview for Hay House World Summit 2013, James Van Praagh talked about intuition and what we can do to enhance it. He explained that developing psychic ability is an unfoldment process, and that it doesn’t happen overnight. You first need to develop your five senses and make them as acute as possible, before moving on to the sixth sense – your intuition. The spirits will communicate with you through your five senses: vision, hearing, smell, taste, and touch. This means that you need to make your five senses very strong, so that you easily can pick up the information that the spirits are sending to you. James Van Praagh always lets his students develop their five senses first. For example, to develop the sense of taste (clairsentience), his students are encouraged to taste different things with their eyes closed and describe the taste. To develop the sense of hearing (clairaudience), the students are told to put on a blindfold over their eyes and listen to the world around them for an hour or so. Before any exercise, he makes sure that his students meditate for a while to get centered. Try it for yourself. The more aware you become of your five senses, the more acute they become. Mindfulness exercises are perfect if you want to develop an acute sense of the world around you, as well as your psychic ability. It’s important to practice meditation on a regular basis to become centered and to allow space for your psychic awareness, according to James Van Praagh. Did you know that we are all born with a sixth sense? In fact, we are all more or less psychics. It is natural for us to trust our intuition, but unfortunately we don’t always do that. We complicate our lives when we focus on fear and judgment, and the truth is very simple. James Van Praagh wants us to know that life can be very simple, if we learn to trust our intuition. Life is a series of choices and all choices are either based upon love or fear. The little voice inside of us is of love, and our intuition might not always make sense to us because it is beyond this three dimensional world. James Van Praagh explains that our intuition is connected to the infinite intelligence – so why don’t we listen to it?! The reason why we don’t listen to our intuition is because we are used to having instant satisfaction, here and now, but intuition doesn’t work that way – it’s just a natural sense that you have to trust if you want an uncomplicated life, according to James Van Praagh. When you start honoring your intuition, and listen to that little voice inside of you more often, your life will become easier. James Van Praagh wants to assure you that when you trust your intuition, the choices you make in life will be much easier. So, the next thing you need to do if you want to develop your psychic ability, is to start trusting your ”gut feeling”, according to James Van Praagh. Your intuition is the doorway to the spirit world. If you want to communicate with the spirit world, you need to trust your inner voice and intuition, because the spirits will communicate with you through all your five senses! The perhaps most difficult thing that you need to do if you want to develop your psychic ability, is to let go of your ego! James Van Praagh teaches and trains a lot of mediums, and has found that the hardest part for his students is to let go of the ego. It’s not right to the spirit who is transmitting the message, or to the client who is receiving the message, to color the information with the medium’s personal experience. This is why a medium has to let go of the ego! Also, the ego puts a wall up and blocks the spirits from coming through, according to James Van Praagh. The ego is filled with self doubt and says things like: ”Oh I am not good enough”, ”Did I get this right” etc. If you want to develop your psychic ability, and perhaps work as a medium one day, remember that the ego has to get out of the way, because your work has to be about the spirit and not about you – otherwise why do the work? James Van Praagh always tells his students to let go of the ego, and be receptive for whoever that comes through. He has noticed that when he is tired or exhausted he gets the best information, because he is letting go and thus not blocking anything. The easiest way to release your ego and open up the door to the spirit world, is through meditation, as you quiet your mind and listen with your heart, according to James Van Praagh. To summarize, you need to enhance and fine tune your five senses, trust your intuition, and let go of the ego. Remember that developing your psychic ability is an unfoldment process that will take a while, so be patient and have fun doing the exercises! 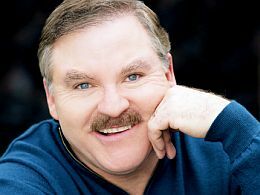 In the video below, James Van Praagh shares how he discovered his own psychic ability. He also talks about skepticism, getting the predictions wrong, death, and much more.